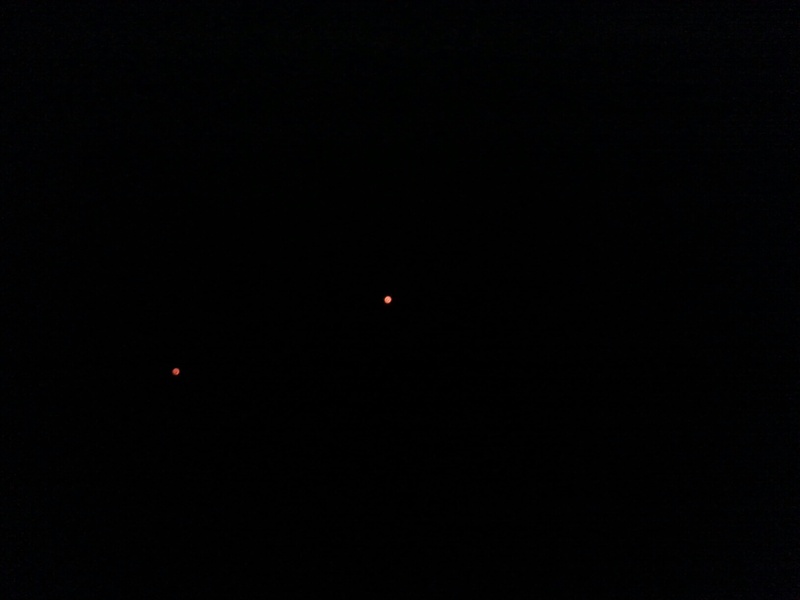 Further Description of Sighting: Fairly bright orange objects would appear and then disappear. The first one seemed to be moving in a northerly direction. It vanished. Shortly thereafter, two more lights appeared. They seemed to be moving in a southerly direction. The lights vanished. They could have been some sort of Chinese lanterns. They seemed to be higher, brighter and larger than traditional lanterns.